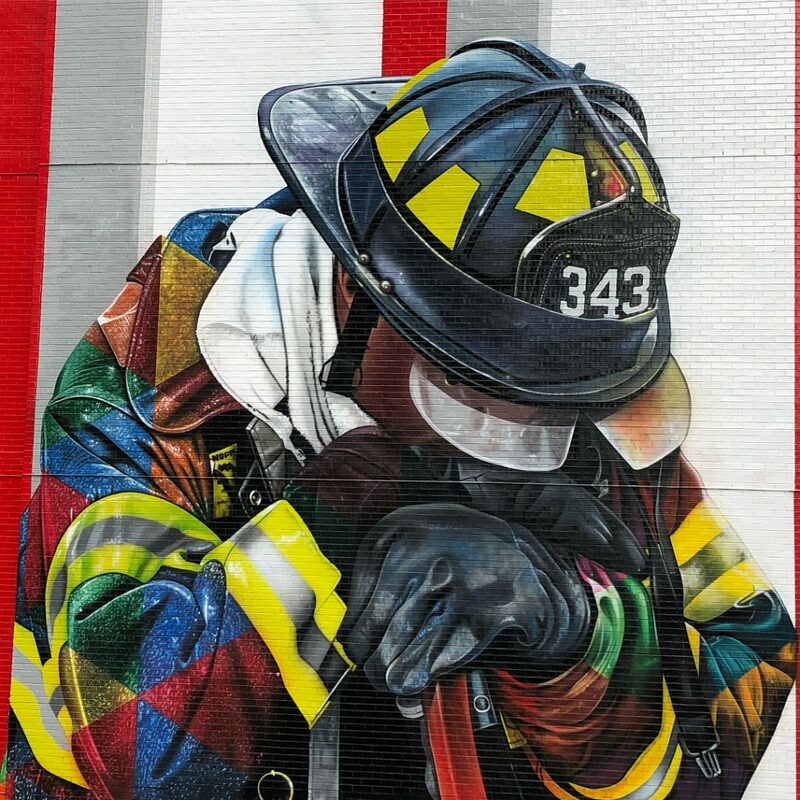 Seventeen years ago, the sad events of 9/11 unfolded upon our city and our nation. 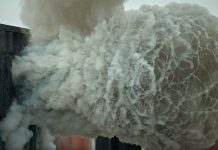 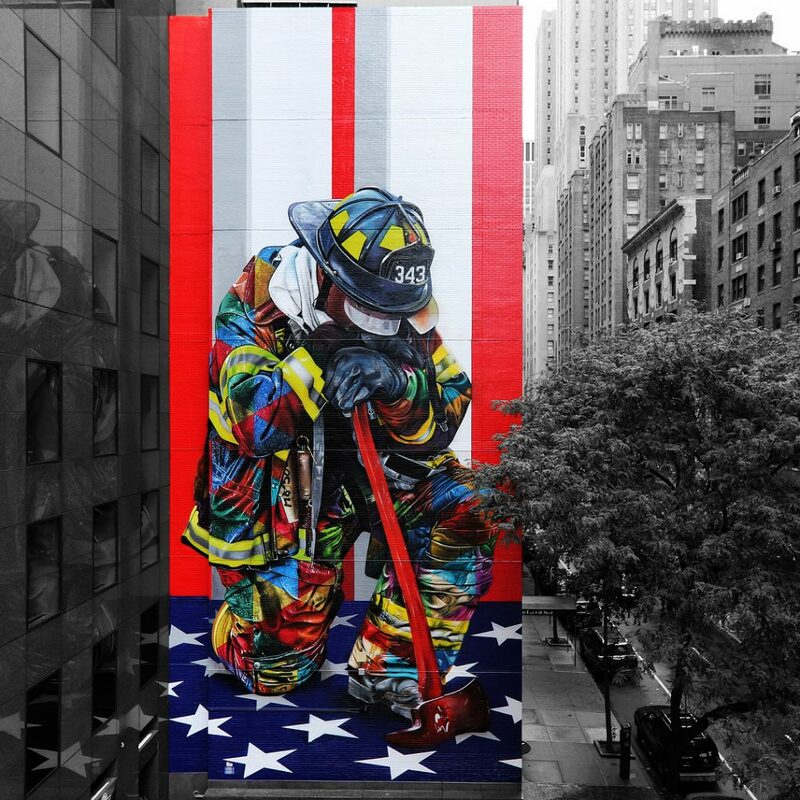 In honor of the firefighters and first responders on September 11, 2001, Brazilian street artist Eduardo Kobra pays tribute to them and all those whose lives were lost with a massive seven-story mural in Midtown. 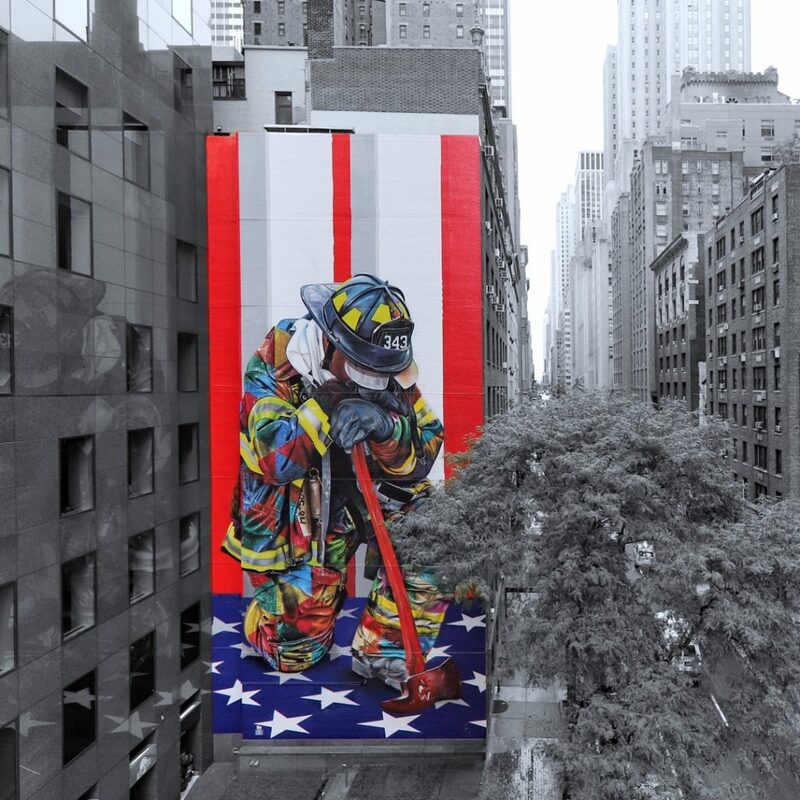 The mural, in Kobra’s colorful and kaleidoscope style, illustrates a firefighter kneeling in front of the American flag.